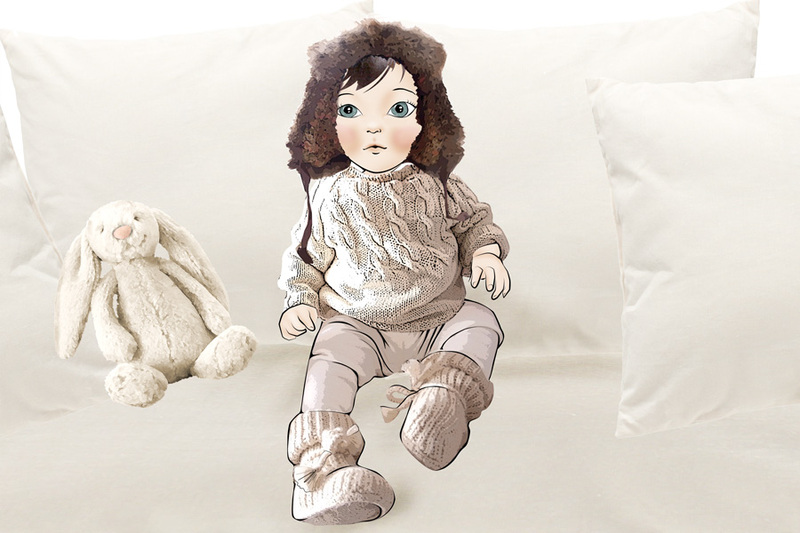 Today Romy is wearing a rabbit fur chapka with Liberty print lining, white cotton leggings by Bonpoint, a sweater hand-knit by my friend Carin, and hand-knit booties with sheepskin lining by Tane Organics. Her white bunny is by Jellycat. Illustration by Lula exclusively for Romy and The Bunnies.